Identifying more bowel cancer cases at an earlier stage will not only save thousands of lives but millions of pounds too, according to a charity. Beating Bowel Cancer says many patients are told they have the disease in its later stages and the time it takes to detect it is different across England. Some Clinical Commissioning Groups (CCGs) manage to spot close to two thirds of cases early (63%), while others manage this in just under a third (30%) of cases, figures show. But if each CCG managed to detect 63% of bowel cancer cases early then as many as 3,200 people would survive and the NHS would save £34 million, it is believed. It could save £103 million, if all bowel cancer cases were spotted while in the first and second stages. Cancer patients heading overseas are advised to take out specialist cancer travel insurance to cover an emergency treatment they may need while they are abroad. Bowel cancer is the fourth most common form of the disease in the UK, with 41,000 people diagnosed every year and only one other type kills more people - lung cancer. As many as 16,000 people succumb to bowel cancer each year. People who are told they have stage one bowel cancer are likely to survive in 97% of cases, but the same can only be said for 6% of those with the most advanced forms of the disease. Not only are more people likely to live after early diagnosis, but the treatment costs the NHS much less as it is not as intensive. Mark Flannagan, the chief executive of Beating Bowel Cancer, says the fact that some CCGs are only managing to spot a third of cases at an early stage is not acceptable. He says some patients are told they cannot have some bowel cancer treatments on the NHS because they are too expensive, and yet spotting more cases at an earlier stage would allow it to save millions of pounds. 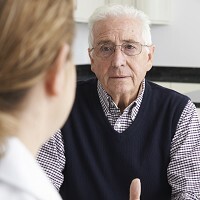 Better screening, raising awareness of signs of bowel cancer, and helping GPs to improve the way they investigate cases and refer patients would all be needed to increase the number of cases that are spotted early, Mr Flannagan says.